A complete Communication Solution for Education Institutions. *astTECS IP PBX for Education Institutions includes a wide range of IP PBX systems designed focusing on schools, colleges, hostels & universities where the administration has a requirement for better call management system. With IP PBX for Education Institutions series of IP-PBX systems, our clients have successfully established the advance call management system in their residential schools. This ultimately results into a more productive environment for their students who now have more time & energy to concentrate on developing their personalities, rather than spending with their smartphones. No Phone to School Premises! Games and Social networking apps have made the generation addicted to the cell phone. A study conducted by the researchers of university of Texas & Louisiana state university have shown improvement in scores after banning of the cell phones in schools. Stopping cell phones / mobile phone on school / college premises is a welcome policy by most of the education institutes, in order in make sure that their students are spending time on more productive activities. But implementing this policy is a tedious job, as these organizations do not have well define system to provide an alternative which can address the demands of parents to be in touch with their children, the demand for emergency calls, and the demands for regular updates about the students by their parents from the organization. 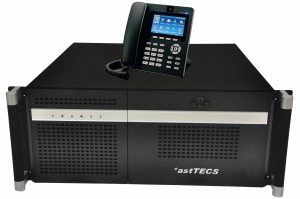 The astTECS IP PBX for education Institutes have studied the market and develop the perfect solution to fulfill the market need. 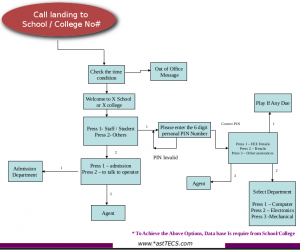 Each student can have their own extension for both receiving & dialing calls. Administration can pre-define the time slots for outgoing calls. Every student can select a plan as per their requirements. Each student (extension) can be allowed a pre-defined set of numbers to dial. Every student can be made available with unique ID and password to dial from any system. Built in web based video conferencing facility for group discussions, guest lectuers, inter-school debates, etc. Call duration can be controlled for both inbound & outbound calls to manage the time spend on a call. Campus wide paging or intercom system for making general announcements or emergency alerts. *ast Edu-50 – For 50 Extensions. *ast Edu-100 – For 100 Extensions. *ast Edu-200 – For 200 Extensions. *ast Edu-300 – For 300 Extensions. *ast Edu-500 – For 500 Extensions. *ast Edu-1000 – For 1000 Extensions. 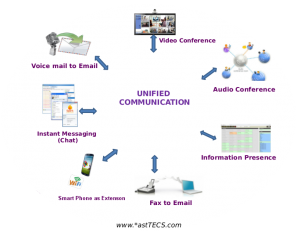 *astTECS brings the most innovative voice applications, rich IP PBX capabilities and an open standards-based architecture. The solution delivers powerful communication tools and operational applications that simplify daily tasks of faculty and students”. astTECS IP PBX solution for Educational Institutions is designed to improve productivity, deliver innovative services and communications, while reducing operating costs. Smart Phone as an extension with Wi-Fi Client. 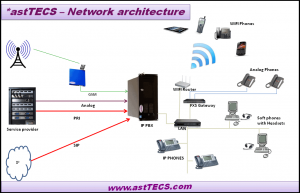 *astTECS IP PBX supports Smart phones as extensions within Wi-Fi range. This feature helps teachers communicate each others while roaming around the Premise/nearby location to be accessed easily. Moreover, there is no extra cost incurred and mobile bills can be saved. Web based Receptionist Console to view the calls in queue, extension status, drag and drop call transfer. 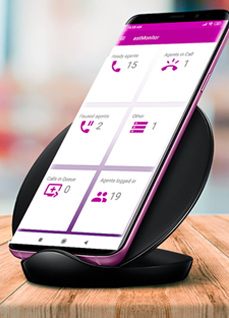 Automatically record calls coming in, going out, or even internally, based on the settings you define. Generate the Complete Call details report for calls which is passing through IPPBX, all incoming, Out going, Internal calls. Incoming FAX can received directly on specific email id in PDF format. Activate DND, By pressing short code digit key from a phone. Option to forward call to Voice Mail. An important call can even be forwarded to the Mobile numbers. Block Internal calls between Students. Block internal calls between staff room during Certain period of Day.